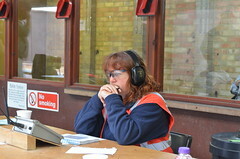 For the last half dozen seasons or more Haverfordwest Target Shooting club has hosted the Galleryrifle Welsh Open. This was again the case in 2017 in which the official running order of the meeting was lengthened to two and a half days – Friday morning to noon on Sunday. The venue also plays host to a Wales – England head to head match . 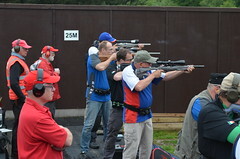 The match was the finale of the weekend’s activities and results in a narrow victory for England. Results of the head to head match and the individual match results are below. The Derby Open 2017 was a record breaker with 105 competitors and over 850 events entered. It was fantastic to see 24 new faces, some completely new to the competition circuit. I think you will agree that the prize table was excellent with numerous high value prizes to be chosen. This was mainly due to extraordinary support from the sponsors who supported the meeting. 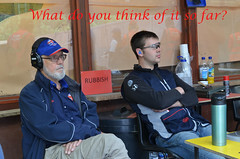 It is worth mentioning them by name as they deserve our thanks and having confidence in our sport. Please support them in return. The Results are below, you have seven days (July 6 2017) to challenge a score you think is wrong. I will contact those who are due a prize, who were not present at the prize giving, in the next few days. 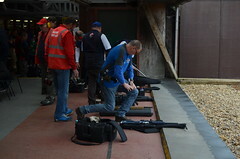 Congratulations to Scotland who won The Home Countries Rifle Match, and England won the Pistol match. 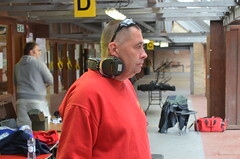 Winners were presented with striking Brownells medals. Scores above. The Man v Man was won by Jake Mossom with Jim Starley and Mick Tedesco as runners up. Over £120 was raised for the Air Ambulance and I will inform you what the total raised for them was in due course. The Derby Open is a team effort and would not be possible without the 30 or so Range Crew who worked unbelievably hard over the weekend. Special thanks go to Team Smoothy, and Nog (Jonsie) for their help. And not forgetting the guys in Stats, and most importantly Pam & Mick on the BBQ. We hope you all enjoyed everything, and the weather was OK too. Quite a few new record scores were posted at the Phoenix meeting this year. The new 2017 records are shown below. A full set of Phoenix record scores is also available. Note the 2017 Phoenix Results and Prizelists are are now final. The Wapinschaw Association is committed to preserving the traditional of the Wapinschaw and ensuring the survival of the Aberdeen Wapinschaw. 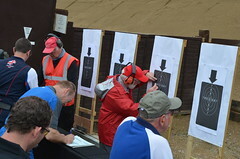 Please find linked details of the forthcoming Wapinschaw competition which is following the same format as last year and contains competitions for 5 of the GR classes as well as muzzle-loading rifles, pistols and revolvers. As before we are delighted that BBQ, cakes and refreshments are available free of charge (although donations appreciated). The matches will take place at Drums range on Saturday 10th and Sunday 11th June, 2017. Entry forms are available here and there is still time to enter. See also the AFBGC website for further details and the results. Provisional Results now available. Please make any challenges via email to Mark before Midday, Tuesday 6th June. 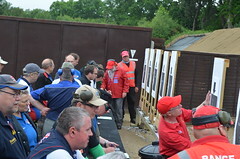 It takes about 100 volunteers and Range Officers to run the Phoenix Meeting at Bisley. The Range Officer schedule can be found via the link below. 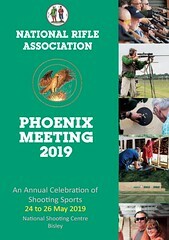 The meeting starts on Wednesday for Range Officer shooting and Friday for general competitors. It concludes Monday with the IGRF International match. 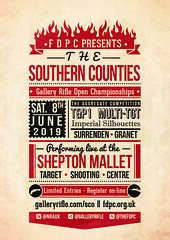 After just a single season hiatus (seemed longer) the 2017 Western Winner returned to be contested at FDPC’s new Range complex at Shepton Mallet. 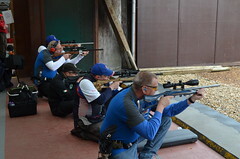 This new indoor range suited the competitors pretty well in the events offered – 1500, 1020, T&P1 and Multi Target. Frome & District Pistol Club are please to announce the return of the Western Winner in 2017. This years event will be held on 13th and 14th May; a good warm-up for the Phoenix at Bisley two weeks later, but also an excellent competition in its own right. It was unfortunate that this well established West Country championship event was unable to run in 2016. This followed the loss of the usual venue at BDRPC – home for all the preceding years. 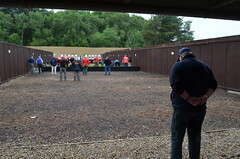 However, Frome now has a brand new indoor range in nearby Shepton Mallet, boasting 25 and 50M ranges with turning targets, modern clubroom and other facilities. This year, as well as the 1500 match, Frome will offer T&P1, MT and the increasingly popular 1020 events. So… navigate to the entry forms on the club’s website and get them it quick. We look forward to seeing you there! The Aberdeen Wapinschaw represents arguably one of the longest running shooting competitions in the UK, tracing a lineage to 1862. The Association presents one of the finest trophy tables in the UK, with many exquisite trophies dating from the 1860s and onwards through the 20th and 21st Century. 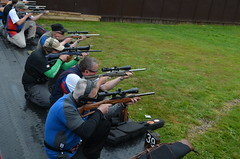 Aberdeen Full Bore Gun Club is honoured to host the civilian arm of the Association’s annual competition schedule and does so through a three day match in June for Gallery Rifle and Pistol (NRA-sanctioned and ranked), Smallbore Service Rifle, Muzzle-Loading Rifle and Pistol and Black Powder Cartridge Rifle and then in September holds a two day Fullbore Rifle Open meeting incorporating Civilian Service Rifle (Urban Contact and 200M Falling Plates Matches) and general Fullbore Rifle matches in a range of classes (the latter at 100M or 300M). 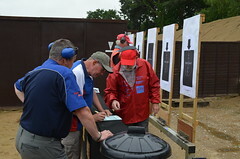 This year’s GR matches include Timed and Precision 1, Multi-Target, 1020 and 25M Precision for GRSB, GRCF, GRCF Classic, LBR & LBP plus options for ML pistols/revolver and rifles as well as more unusual competitions for GRSB. Although in the early stages of planning, it is intended to introduce a club team match – watch this space. The day is further enhanced by the provision of an excellent array of food. 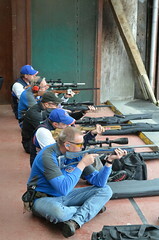 We look forward to welcoming shooters from all over, far and wide. 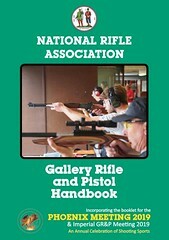 Gallery Rifle and Pistol is an officially recognised discipline of the NRA. As such the discipline has representation on the NRA general council and sits on appropriate NRA committees (eg Shooting Committee). In accordance with NRA regulations the discipline’s elected representative serves a 3 year term. The next 3 year term runs from September 2017 to September 2020. Nominations are now being sought for the the Gallery Rifle and Pistol Representative to serve for the next three year period. Anyone who is interested please get in touch. What does the role entail? There is no role description as such but as the GR&P rep you will be expected to represent and promote the discipline’s interests within the NRA and generally. 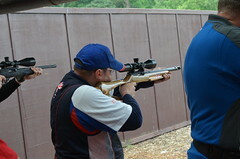 The NRA are the NGB for the discipline, they oversee the rules and regulations for all target shooting disciplines they represent and Gallery Rifle is a core discipline. The GR&P rep has a seat on NRA general council and a seat on the NRA shooting committee. 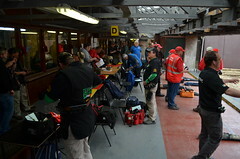 General Council and Shooting Committee formally meet three times a year at Bisley. Apart from these core responsibilities the role is essentially whatever the person fulfilling it wants it to be. 31st March 2017 – all nominees or nominators must be fully paid up NRA members. 30th April 2017 – Nominations for all vacancies must be returned to the Chief Executive by 17:00 on this date. Registered Members must be qualified for voting for their respective Regional or Shooting Discipline Candidate by this date. All Members desiring to vote must be fully paid-up Registered Members by this date. 22nd May 2017 – voting slips will be posted out to all entitled Members by this date together with the procedures for voting. 13th July 2017 – voting slips in the correct envelope supplied must be received by the NRA office by mail or by hand, no later than 5.00pm on this date. The electee will take office from September’s General Council meeting. d news I’m afraid. 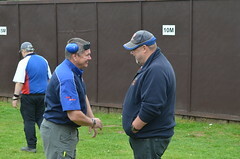 Anyone who shot on Melville ranges at Bisley in the recent past would probably have remembered Les Pulling. 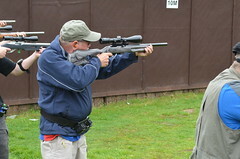 He was the range warden there for many years and retired in 2012. 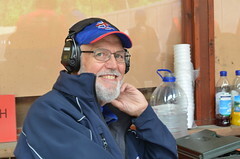 News was received today of Les’s death after a short illness. I’m sure many will remember him on Melville for his daft stories and antics as he helped us on the range with all the targetry and moaned at us for not sweeping up properly. RIP Les – I think many will agree you made the shoots at Melville a little bit more enjoyable. The first Imperial Meeting was contested on Wimbledon Common in 1890, when Queen Victoria fired the first shot and gave a prize of £250 to the best individual marksman. This set the pattern for the Association’s Annual Meeting, held every year with the exception of the two World Wars. The Queen’s Prize remains the premier award for the Meeting’s top shot, with the £250 prize still given to the winner. 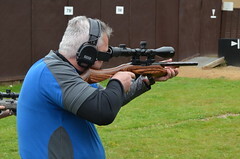 Today the Imperial has grown to include many different disciplines, from Target Rifle to Service Weapons, Gallery Rifle and Pistol, Historic Firearms, Civilian Service Rifle, Schools, Cadets, Match Rifle F-Class and McQueen. The Meeting starts on the 16th June and culminates with the Queen’s Prize on the 22nd July. Over 3500 competitors took part in the 5 week long meeting in 2016 making it a real festival of shooting. 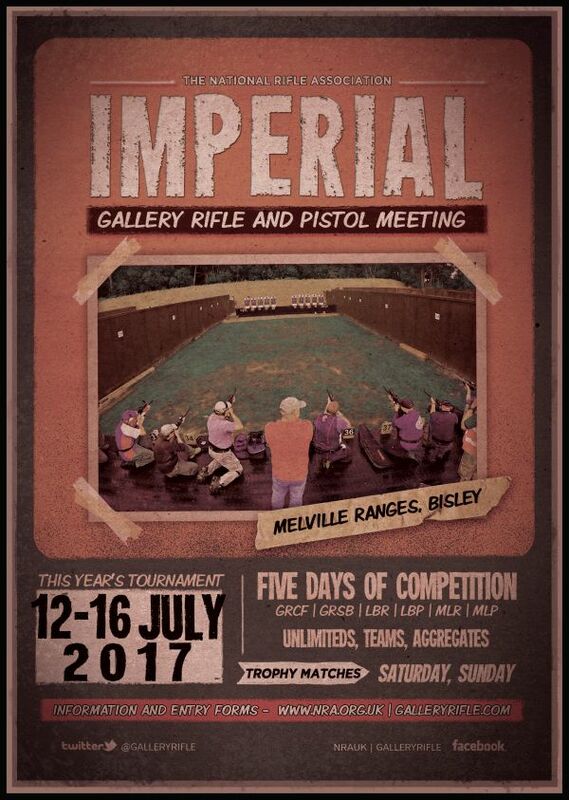 With competitors coming in from all over the world, the Imperial is a once-a-year must shoot in any competitor’s calendar. 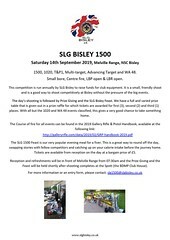 Host to the competition is NRA Bisley, the world renowned ranges complex covering virtually all forms of shooting from air rifle to 1200 yards full-bore shooting set in 3000 acres of heathland; Bisley is as unique in character as it is in the variety of ranges it offers. The atmosphere at Bisley is second to none, with friendships made and renewed on the firing points every year, but the event does not end with the shooting, the famous Bisley clubs take over and competitors enjoy the Bisley hospitality at its best. 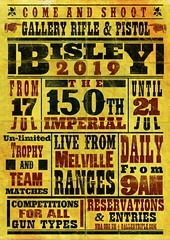 2017 is set to be another great Imperial and we look forward to welcoming you to Bisley for the 148th Imperial meeting. In the middle of the Imperial meeting there still languishes the most relaxed competitive Gallery Rifle and Pistol (GR&P) meeting on the circuit. 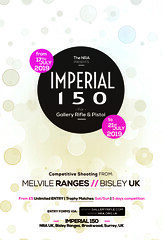 The Imperial Gallery Rifle and Pistol meeting runs for five days – middle Wednesday to middle Sunday – (12-16 July 2017) and is worth at least a couple of days out of your usual routine to attend. The meeting still seems to be continually off the radar for a lot of GR&P shooters. Attempts to promote it in the past have been met with limited success so an outline of what the meeting is all about is below. In the 1990s and earlier it was a pistol meeting. It changed to a GR and MLR/P meeting in later years and has been running ever since most recent addition of LBR and LBP offerings. 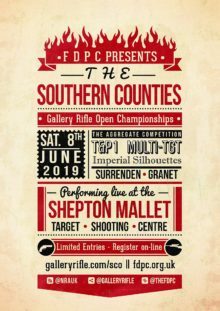 The meeting is open to all shooters and offers competition in Galleryrifle Centrefire (GRCF), Galleryrifle Smallbore (GRSB), Long Barrel Revolver and Pistol (LBR/LBP) Muzzle loading Revolver/Pistol (MLP/MLR) and some Air Pistol (AP). There are unlimited medal entry matches, squadded trophy matches and team matches. The format of the Imperial is slightly different to many GR meetings people may attend. Its broadly split into two streams and there are one or two nuances, mainly regarding sights. The traditional trophy matches are run over the weekend and if entered will be squadded affairs. 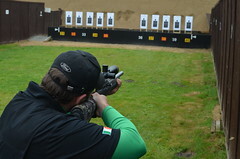 The trophy matches, for GRCF, are iron sights only. Running throughout the meeting and making up the bulk of the shooting are the unlimited entry matches – simply called “the Unlimiteds”. Any sights are allowed here so scopes, red dots or any variation are perfectly acceptable. The idea of the Unlimiteds is exactly what it says – unlimited entries. People can shoot as many times as they want in any chosen event and keep submitting scorecards to be processed for that perfect score. 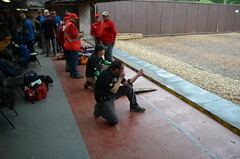 In fact to get a score on the board shooters have to submit at least two cards in any event. They can submit more if they wish however only the top two will be crunched for the final record. 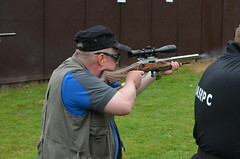 That’s the formula – the encouraging factor is to shoot – as many times as the shooter wants and on this basis the entry costs are deliberately kept low. For 2016 all medals entries were priced at £4.50 a card. 2017 prices will not be too much more. 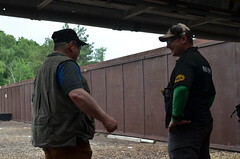 Its the cheapest competitive shooting on the GR circuit. 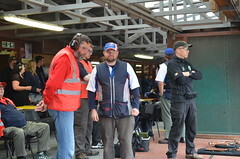 They are described in the Bisley bible (The NRA handbook) and there are 7 in all but here is a summary of the Unlimited events shot for medals throughout the meeting. These are available for both GRCF,GRSB, LBP/LBR and MLP. The Grand Aggregate – the Grand Agg. is now available for GRCF, LBR, LBP and MLR. Take one of each of the above events for GRCF and nominate the card. Exclude America and Silhouettes and its the LBR/LBP/MLR Grand Agg. 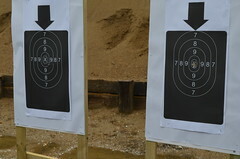 One nuance mentioned above comes into play here – its an iron sights only aggregate for GRCF – any sights for the pistols! Trophy matches are for competed for over the weekend sessions and are available in the following events. They are all for GRCF apart from the two as appropriately indicated. They are all Iron sighted affairs! 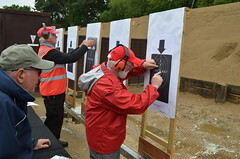 There are also nine team events in total but in line with the NRA’s overall charitable objectives for the encouragement of shooting three are restricted to University teams and one is a traditional Oxbridge varsity match. The final medals on offer are the Highest Possible Scores (HPS) Jewels and the Grandmaster medal. These are defined in the bible and offer a chance to achieve competitive reward based on achieving perfect scores in stages of all the competitions or striving for points based on standards. 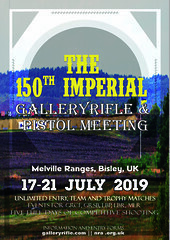 Entries are now open for the 148th Imperial meeting – either on-line or via a downloaded PDF entry form. 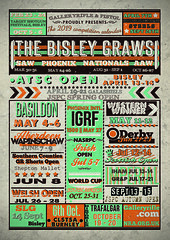 The Basildon Open competition is run on the third week in April, about a month before the Phoenix. That is this weekend coming – 221-23 April. We shoot on Friday (half day – PM) to Sunday. We will be offering 1500, T&P2, 1020, T&P1 and Multitarget Phoenix A at £7 each in all disciplines on our 25 and 50 meter outdoor ranges. If you wish to stay, we can offer a place to pitch a tent or park a camper van, breakfast and a BBQ and beer to enjoy on Saturday evening with a few like-minded soles. All free and part of the weekend for the brave souls who venture out at this time of the year. Our range staff are friendly and do not bite, (much). They will endeavour to help any newcomers trying out their first competition where we will offer “enter one get one free”. And remember, it’s a month before Phoenix, so it’s a chance to get that competition practice after the winter layover. So come to Basildon and have some competitive fun.